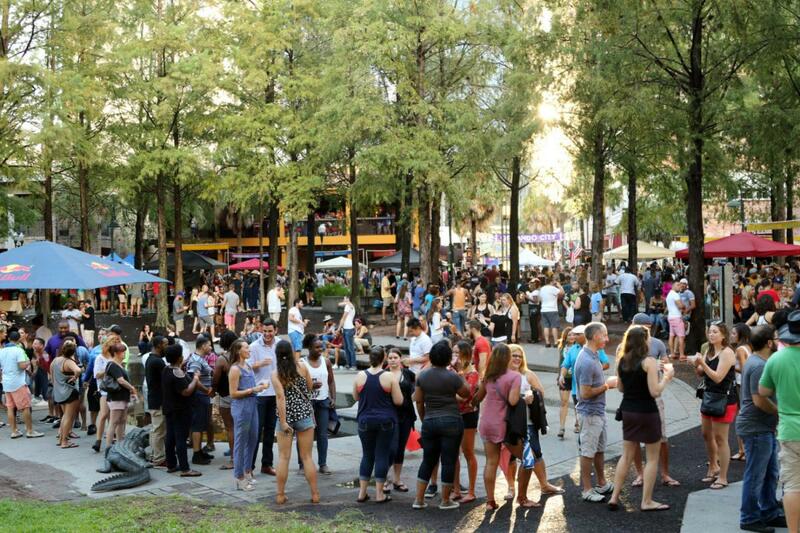 Wall Street Plaza in Downtown Orlando has concocted a lengthy list of annual bottomless beverage festivals where locals and visitors have gathered for a good time. Vodka, Whiskey, and Rum may be fine for some but here in Florida where the heat index doesn't quit until mid-October, Margaritas are the king of cocktails. Frosty, fruity, refreshing, and packed with tequila the margarita is synonymous with summer vibes and good times. On August 25th Wall Street Plaza will provide some sweet relief from this extended heat and quench your thirst with 3 full hours of bottomless margarita and tequila samples during MargaritaFest 9 from 5pm-8pm. With over 20 margaritas and tequila drinks to sample plus live reggae-rock music till 9pm the party won't stop until the margs run dry. Want To Win A Pair Of VIP Tickets To Margarita Fest In Downtown Orlando? Advanced tickets are just $20 or step it up to the Tequila Terrace ($15 more) for the VIP experience. Along with the bevy of drinks spread across their two city streets, VIP ticket holders will have access to a high-end tequila tasting, complimentary Corona beer, and full-sized tequila drinks. BONUS: Tequila Terrace VIP is located inside Monkey Bar giving you a bird's eye view to the party below and access to A/C. As always Cantina | Wall Street, Sideshow | Wall Street, Hooch, and Waitiki will have food available for purchase before and after the Margarita Fest in Downtown Orlando. Wall Street Plaza's events are 21+ rain or shine. Which means unless a hurricane decides to blow thru the Margarita Festival in Orlando will not be stopped. 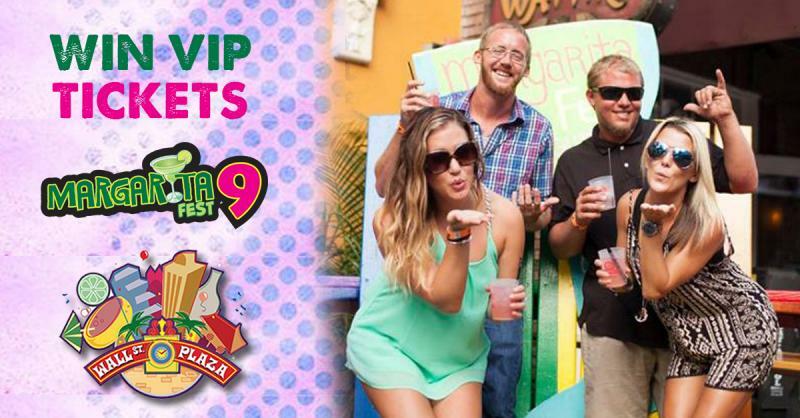 Wall St. Plaza | Win A Pair of VIP Tickets to Margarita Fest 9 from Wall Street Plaza! PRO TIP: Arrive early, pace yourself, and stay hydrated. And even if it is pouring in the surrounding areas of town, Downtown Orlando is protected by the party gods. The storm won't stick around like a one night stand that just won't leave the next morning. The weather usually clears in about 20 minutes. 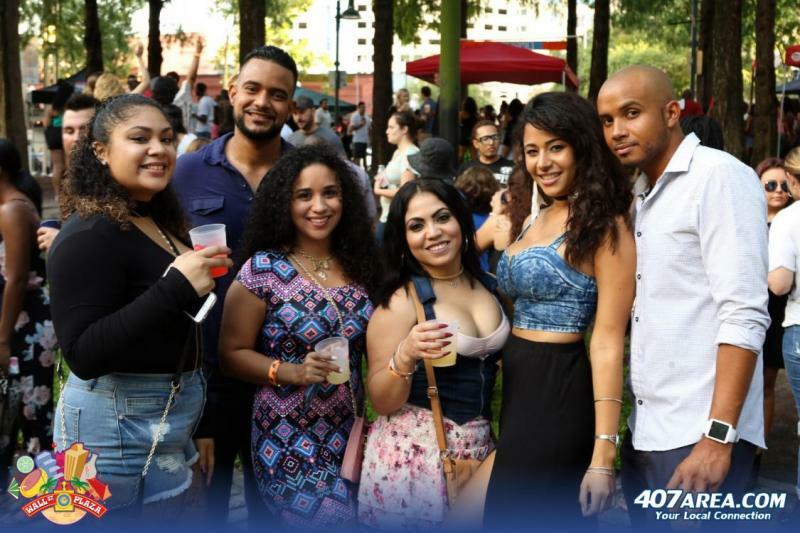 Connect to Wall Street Plaza's business page on 407area for discounts on event tickets, giveaways, and up to date food and drink specials in Downtown Orlando.